The old Castle Ruins still guards the village of Grimaud in the Var region of Provence, France, Europe. 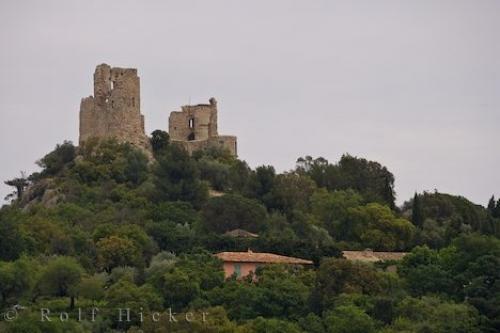 Photo of the ancient castle ruins overlooking the village of Grimaud in Var, Provence in France, Europe. ... Ruins of the 11th Century Castle in the village of Grimaud, Var, Provence, France, Europe. I photographed this photo with the digital SLR camera model Canon EOS-1Ds Mark II, aperture of f/6.3, exposure time of 1/200 sec. on ISO 100, as always I used a original Canon Lens, the focus lenght for this picture was 250mm.